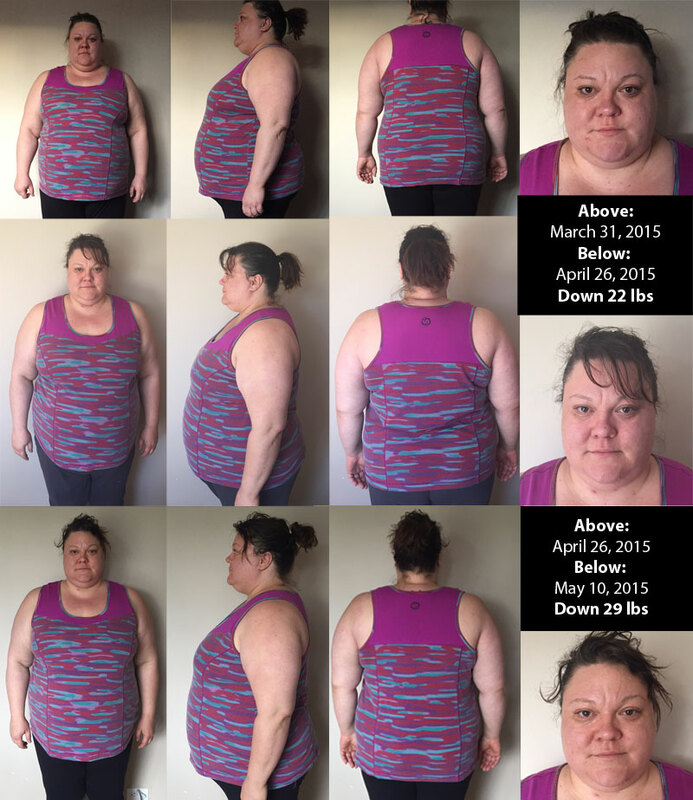 When I posted the “before” pictures, I felt every ounce that 330-lb woman in the picture – bigger, even. Today, posting these pictures, I don’t feel anything like that 301lb woman in the picture. On the inside, I am a woman who swims 4-5 times a week, walks her dog, cooks healthy meals for herself and eats under 2,000 calories a day. A person who lives this lifestyle, looks a lot different than I do. On the inside, I am fit and vital. On the outside, I am a woman who spent the last 35 years abusing herself with food. So, how do I deal with outsides and insides that don’t match? Basically, I don’t look at the pictures. I pull on clothes that are a little looser. I enjoy moving a little more. I savour the food I make. And I continue to act like a fit, vital person. And hopefully, one day, the outsides will match the insides. In the meantime, here are the pictures and the stats. I may have to reverse the order next time – most recent on top. You are a constant inspiration lady! All my good mojo (also your recipe collection is wonderful). Love, love, LOVE this post Camie!! You are a true inspiration!! Keep rocking it Camie … sounds like you got some good momentum now. Keep up the great work. You are awesome and an inspiration! Hi Camie! Wow! You are movin’ and shakin’ girl! Way to go. By the way Camie…your outside and inside do match, you are beautiful through and through. You truly are an inspiration.